Around the globe, the cost and waiting game to see a doctor will drive growth and utilisation of alternate diagnostic tools, at a moment when innovators large and small are uncovering almost unimaginable new possibilities for them. In 2019, look for increasingly sophisticated diagnostics to change conversations about care at home, within retail environments and primary care. What can you test at home with the help of your smartphone? Your lung function, heart health and urine, just to name a few. In 2018, the FDA approved the third smartphone-enabled home urine testing platform. The latest from inui Health can test protein, glucose, leukocyte, nitrite and ketone to show indications of everything from UTIs to diabetes to kidney function. Users instantly access their test results on their smartphones (presumably after washing their hands). AliveCor created an FDA- approved mobile EKG monitor that delivers a medical-grade electrocardiogram (ECG) to your smartphone in just 30 seconds. Air Next is a wireless home spirometer from NuvoAir that measures lung function and lets users track their lung health over time on their smartphones. As front-of-store sales slow at drugstore giants, due to competition from both Amazon and low- price alternatives, increasingly robust healthcare clinics will fill in the footprint. Those distributed healthcare destinations will be powered by new diagnostic tools that help pharmacists act like disease detectives, not just dispensers and injectors. CVS is the in-store clinic leader in the US with 1,000 MinuteClinics (compared to 400 similar retail health spaces at Walgreens). They already offer vision and audiology services, active chronic disease care and diabetes management. Meanwhile, ‘anywhere diagnosis’ tech is also changing the work of primary care practices. Cognoa created a machine-learning app for paediatric behavioural health ‘The tools we adopt in our everyday consumer lives drive an evolution cycle that ultimately changes healthcare expectations’ ￼designed to reduce the time from an autism diagnosis to a meaningful intervention. A primary care doctor can use the app with parents to capture information and video of a child’s natural behaviour. The app then assesses the child’s development to help the physician identify the best course of action. In 2018, the FDA approved IDx-DR, the first autonomous, AI-based diagnostic system authorised for commercialisation in the US. The system creates an immediate, reliable assessment for diabetic retinopathy, including macular oedema, during a routine office visit in a primary care setting. The diagnostic report includes treatment advice aligned with the American Academy of Ophthalmology’s preferred practice pattern for diabetic retinopathy. So, the doctor can counsel patients on recommended treatment next steps before they leave the office. The tools we adopt in our everyday consumer lives drive an evolution cycle that ultimately changes healthcare expectations. New technology leads to behaviour change. As we integrate this new tech, it both raises the bar for our collective social expectations and continues to drive demand for new advances. We are in the midst of many parallel evolution cycles. 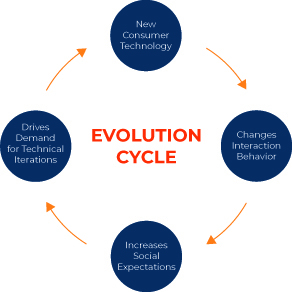 One dynamic that arises from most of these cycles is the reinforcement of the expectation that we will have on- demand information readily available to us. But newer ones are also challenging the interface of health, including a growing expectation for voice-driven navigation, visual search and hyperlocal customisation. System of One – Diagnosed Anywhere is one of ten trends outlined in the Syneos Health Health Trend Ten which outlines critical shifts that will change how we test and commercialise novel new therapies and innovations in the years ahead. The report looks beyond numbers and statistics, turning the uncertainties our industry faces into informative trends, relevant questions and actionable insights. Download the eBook to read all ten trends and gain access to ten worksheets that provide clear takeaways and edifying interactive experiences at trends.health. 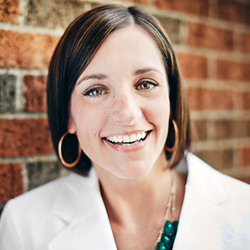 The creation of the Health Trend Ten was led by Leigh Householder, with contributions from a team of 200+ clinical and commercial minds across the company.